In this episode of book reviews we look at two books: “The C++ Programming Language by Bjarne Stroustrup” and “The C Programming Language by Kernighan an Ritchie”. 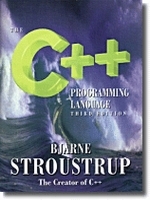 This is an excellent book from the creator of the C++ language Bjarne Stroustrup. But you should be warned! If you are looking for a book to learn C++ language from scratch, you should not choose this book. (Beginners should look for the book: C++ Primer Plus). In this episode of book reviews we look at five books: “OpenGL Programming Guide”, “OpenGL Shading Language”, “More OpenGL Game Programming”, “Focus On 3D Terrain Programming” and “OpenGL Game Programming”. Great book for learning OpenGL from begin to end! The book is well structured and is easy to follow. The book also contains a lot of examples that are well explained. 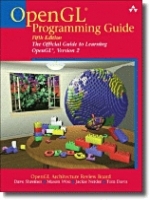 After learning OpenGL you will pick this book up many times to take another look at the examples. 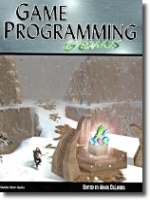 In this episode of book reviews we look at two books: “Game Programming Gems Series” and “Real-Time Collision Detection”. These are great books. Every year the development community is asked for papers on state-of-the-art techniques.The best papers are bundled in a book. One warning: these articles were written by professionals (or almost professionals). So don't expect that they teach you how to program games. (They show you how to produce the different effects using the latest techniques). Sections (many topics per section): Programming techniques, mathematics, Artificial Intelligence, Polygonal techniques, Pixel Effects and much more. These books are a must-have for all who are serious about game programming. There are six books in this series. They now are working on book seven.